Well, users asked and Pinterest listened, because it looks like the feature now exists! 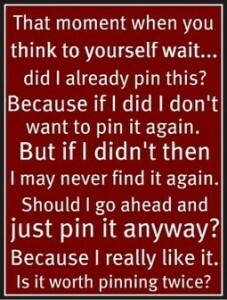 Look at the message I just had pop up when I accidentally attempted to pin something for the second time! Psst! Looks like you have already pinned this! 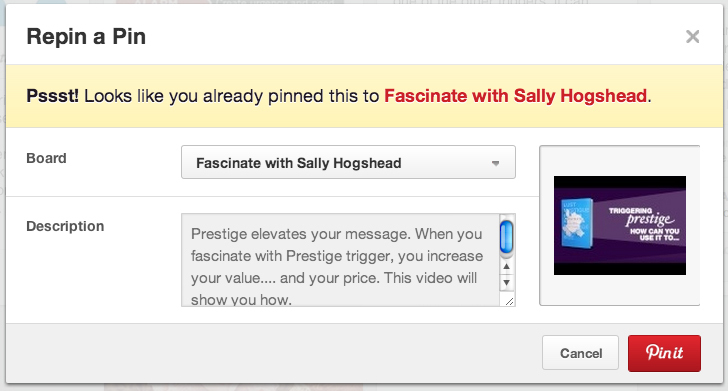 The system is smart enough to realize that it's not the first time you've pinned something, even before you choose a board to pin to. 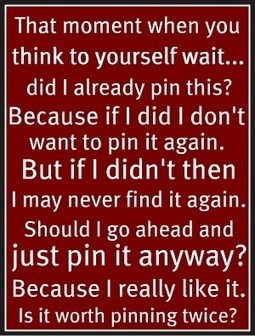 For example, when the window popped up for me, I hadn't chosen the appropriate board to pin to yet from the drop down, but Pinterest still knew that I had pinned it before – and to which board – and gave me a heads up so that I could decide if I really wanted to pin it again.